Yes, I know it's maybe hard to believe, but I actually love taking care of fishes! 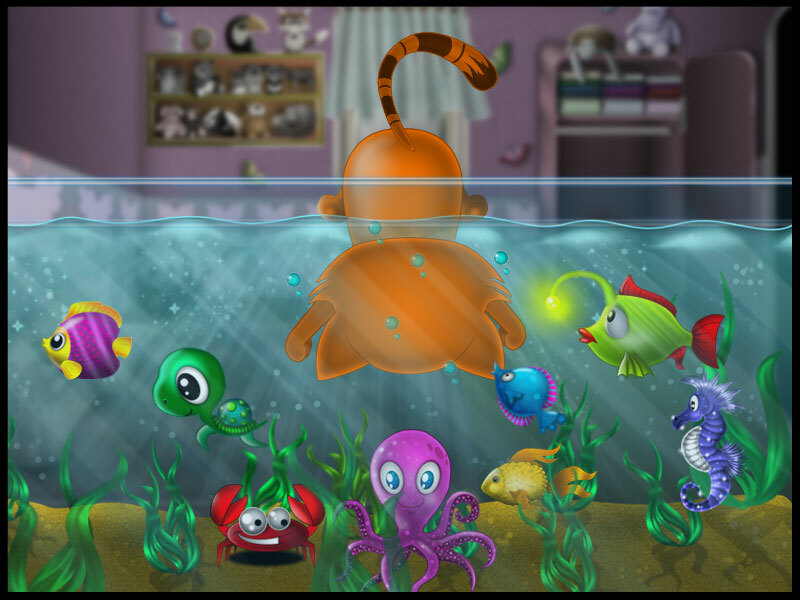 I would do nothing to hurt them, just see me in my latest super game: Sisi's Fishies and help me take care of all of them! Now with the new season and all, I am actually in touch with my natural side and I like spending my time outdoors, with Mina on the Bike or with my other DoliDoli fellows, growing spring Snowdrops and even helping out Toto in his House Design project! So join our spring fun and wait till you see our new outdoors adventure! You will absolutely love it. All I can tell you is that Toto will be there with me, so we'll double the fun!